No, not our wedding anniversary. That’s September 28th. Today, July 5th is the anniversary of the day we met 47 years ago in Titusville, FL. Jan was working at the Western Town area of the Florida Wonderland Amusement Park as a saloon girl at Miss Kitty’s Dance Hall. I was bumming around Florida for the summer and had just started working across the street at their Marine Sea Life Show. We had two porpoises, two manatees, a 15 foot alligator, an elephant seal, and a number of other animals. I took care of the animals and did the shows for the customers. I’m always happy to remember this anniversary, because Jan usually forgets it. About 11am, Nick and Terry, and Jan and I (and Mister) sat outside for a while with our coffee and just enjoyed the nice cool weather, 67 degrees at 11am. I’ve almost got the new blog ready to go. I finally got the blog subscription widget to work, so you will be able receive the blog post via email just like on the old blog. But you will have to re-subscribe. There is no way to transfer subscribers to the new blog. The only thing I’m still trying to do is to add vertical separator bars between the sidebars and the content. I tried several different things so far, including writing some new CCS code. But it either doesn’t work at all or completely screws up the page. But I’ll keep working at it. A little after 2, Terry, Jan, and I headed out for some shopping. Our first stop was a craft store right up the road that’s having a Going Out of Business Sale. 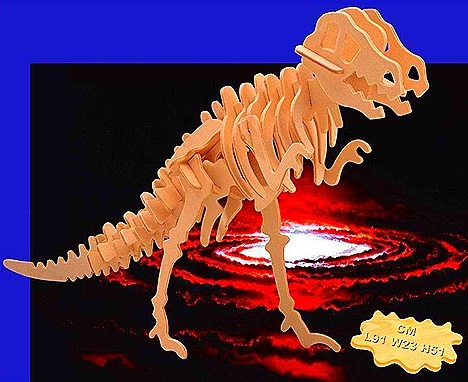 Jan found a couple of pair of earrings she liked and I found this T-Rex wooden puzzle for Landon. It’s really neat. He loves dragons and dinosaurs, so I hope he likes it too. Our next stop was Martin’s for a few things, especially their made-in-the-store pimento cheese, really, really good. Coming back to the park, we dropped off Terry and our pimento cheese and other stuff, before Jan and I headed down to Wal-Mart for some things that Martin’s doesn’t carry. Wal-Mart was busy, but not as busy as you might think on July 4th. Getting back about 4:30, we settled in for a while before Jan heated up some of the pizza from our Mancino’s Pizza visit the other night. Just about as good as then. Tomorrow we may do a drive down to the Shipshewana area one last time. We’ll see. 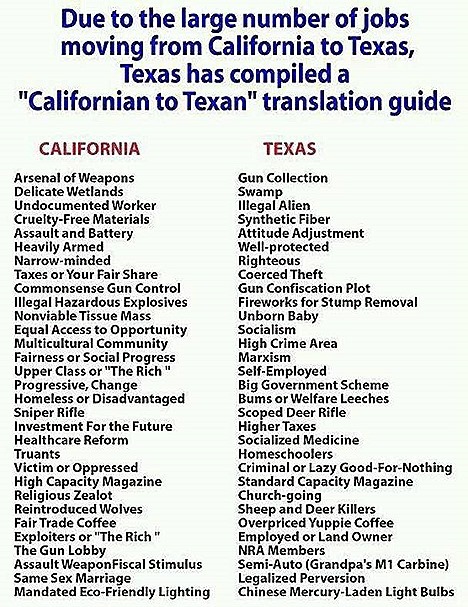 Thanks for the ca-tx translation. sent your e-mail to most of my friends. Mike in Fairbanks, Ak. I have a list of the most recent blogs down the sidebar on my blog. I like to use it since you only visit the blogs that people recently posted. Will that still work for your new blog? Jan & Greg – a match made in Heaven! So nice that you remember even the day you met, Greg!! Not many men in that camp I think!! Hope Jan is feeling better today too!! Glad to hear from someone in Fairbanks. We spent 5 months there the summer of 2008, a really cool summer. Our high was 81 on the 4th of July. The rest of the year it was a good bit cooler, but we really enjoyed it. If the URL you have in your list is ‘www.ourrvadventures.com’, then nothing will change. But if you have ‘https://ourrvadventures.wordpress.com’ then you will still go to the old site, but I will have a redirect taking you to the new site. Yeah, no earthquakes or landslides in Texas! And no state income tax.